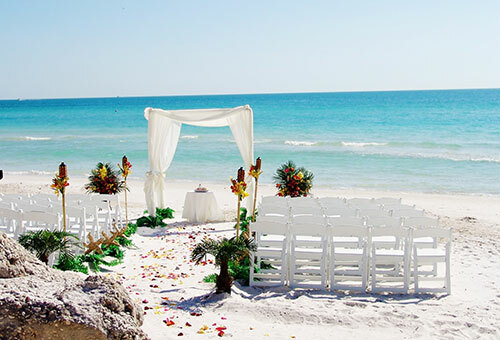 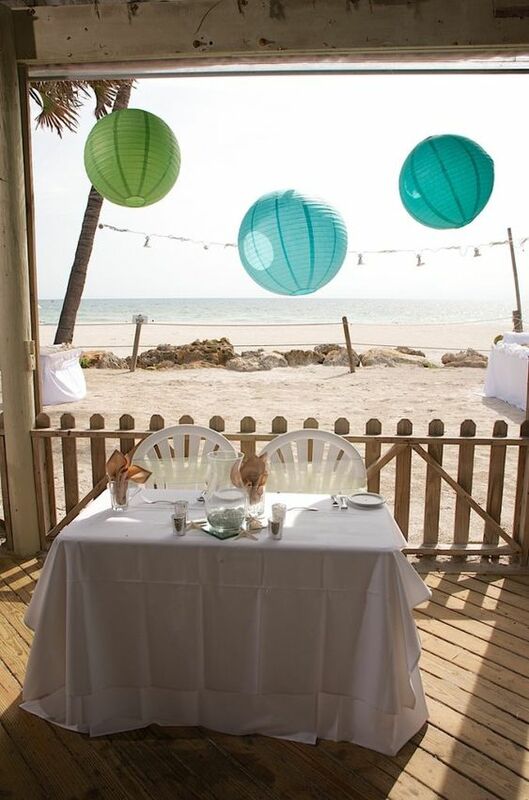 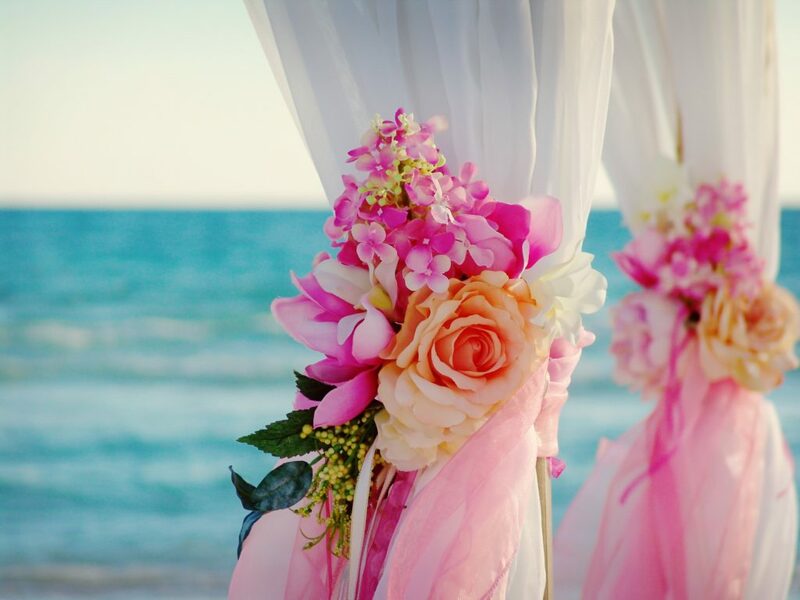 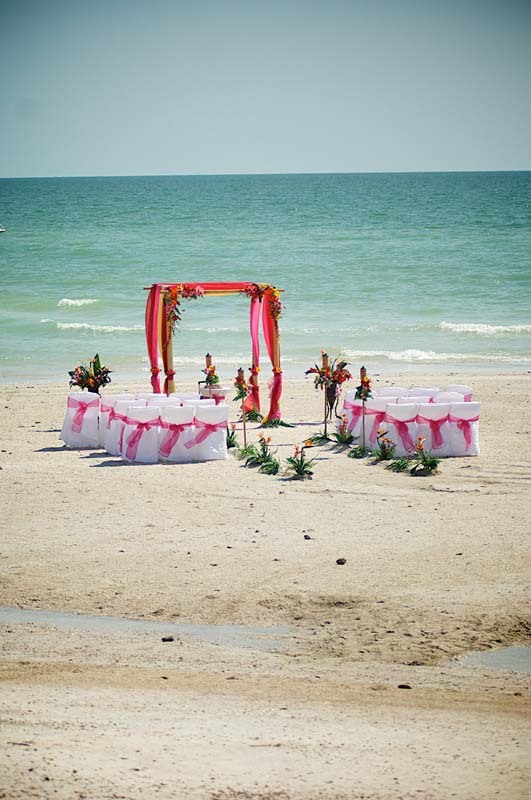 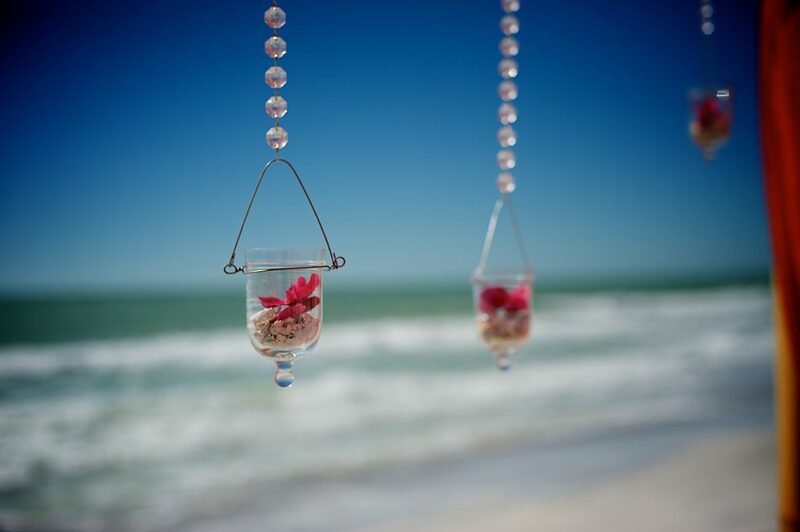 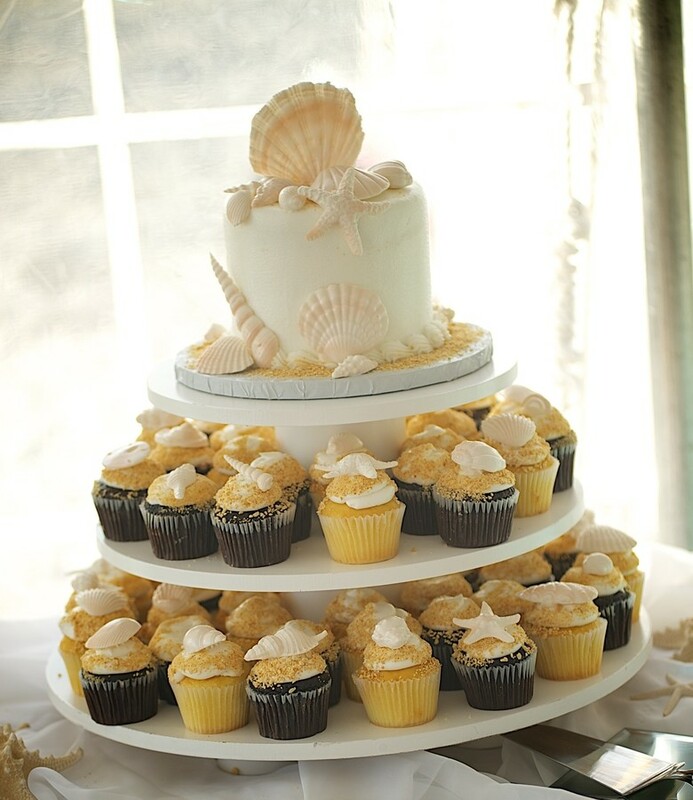 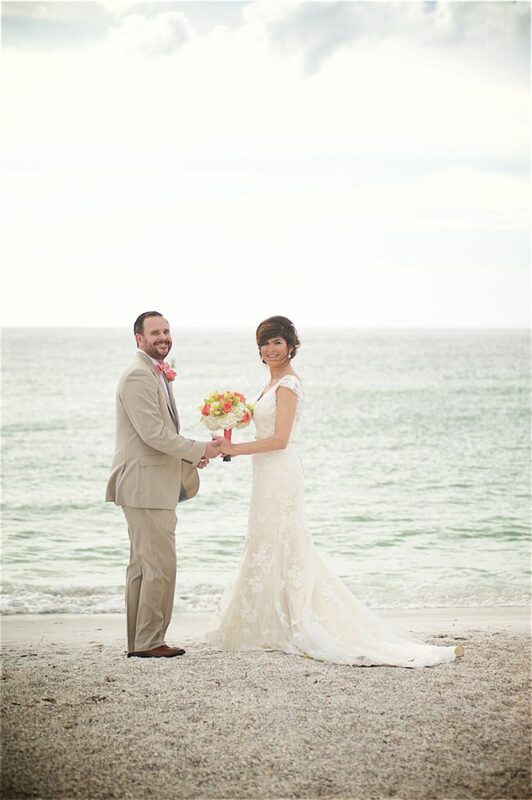 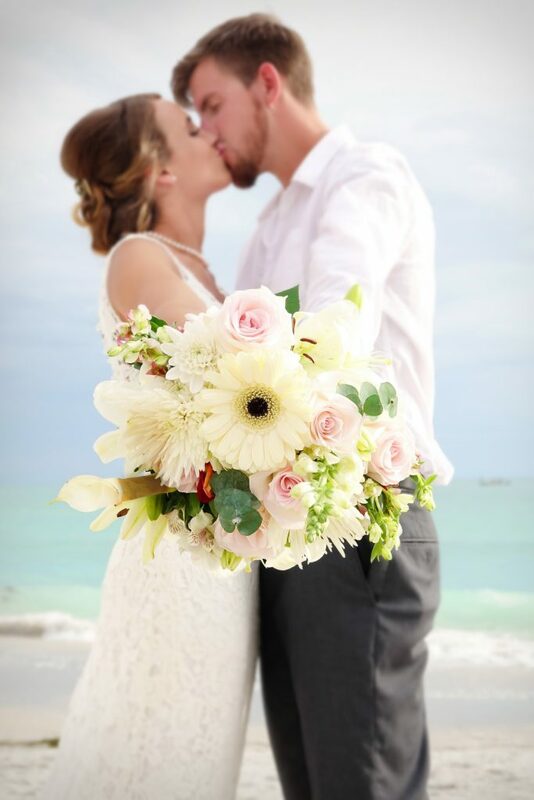 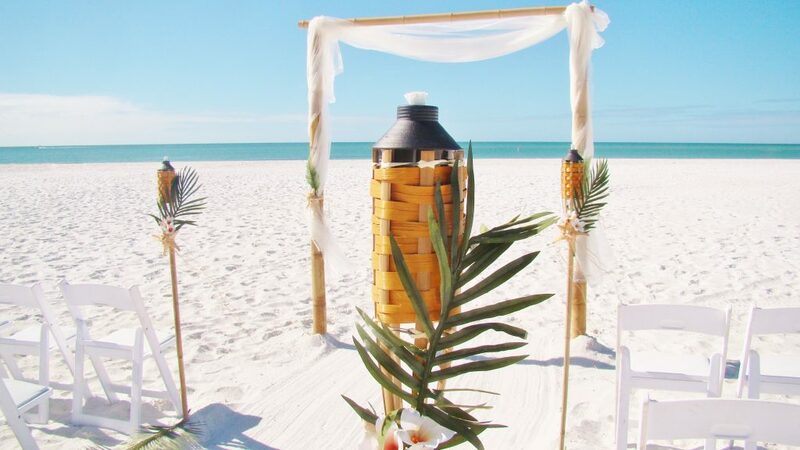 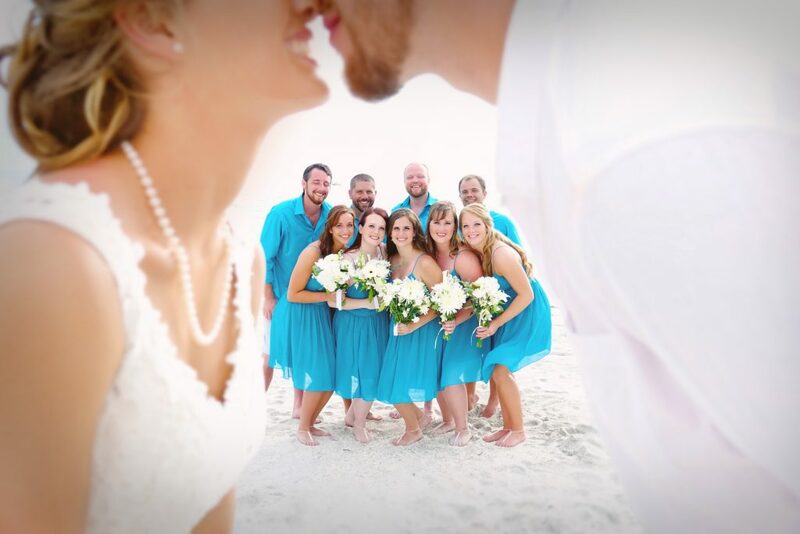 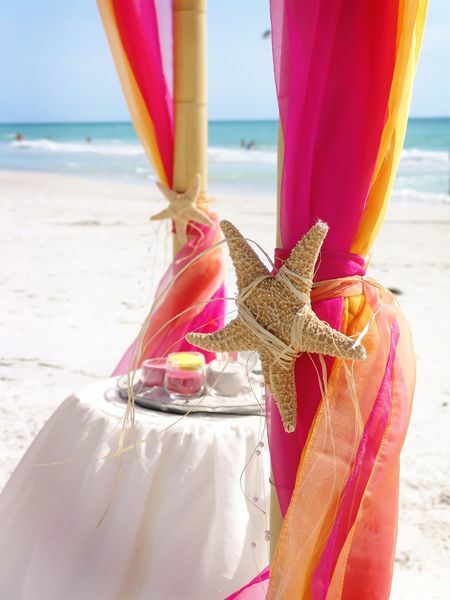 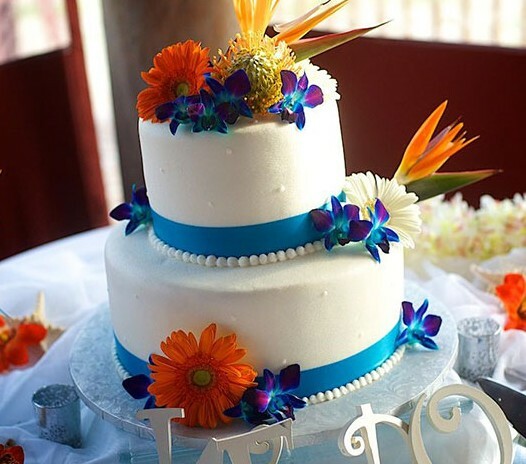 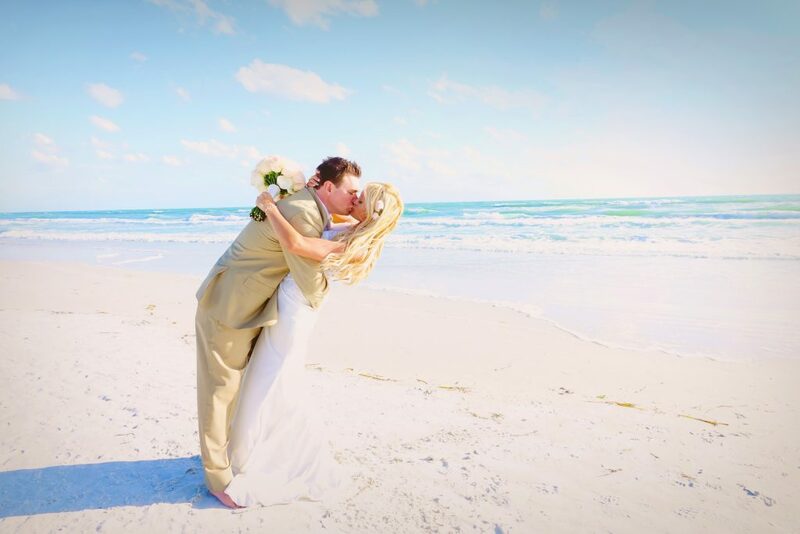 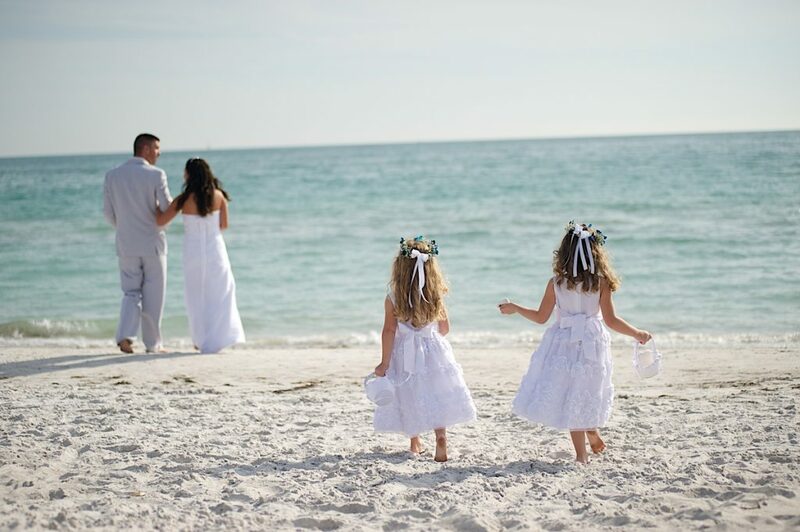 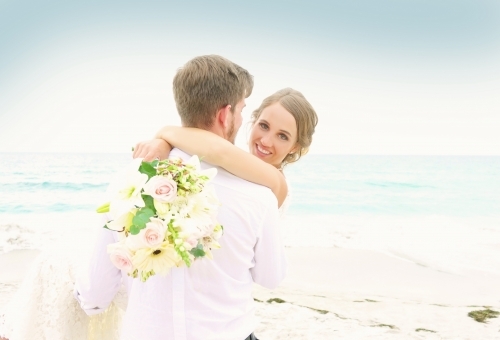 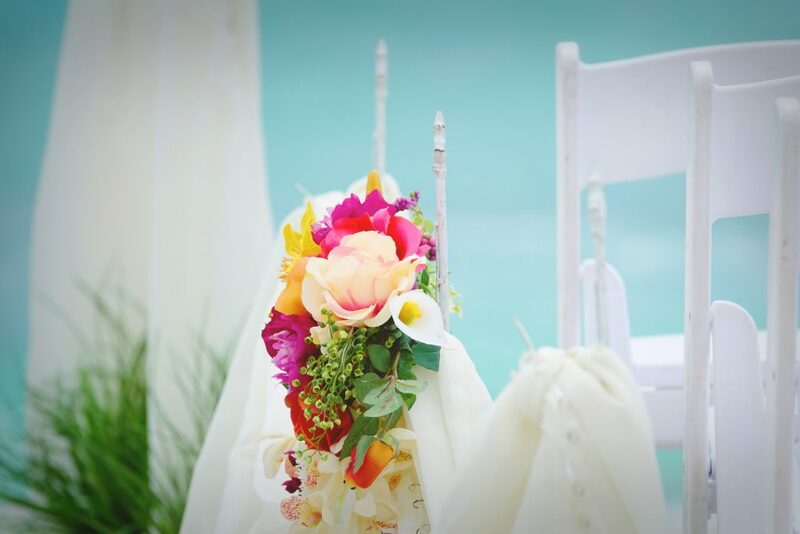 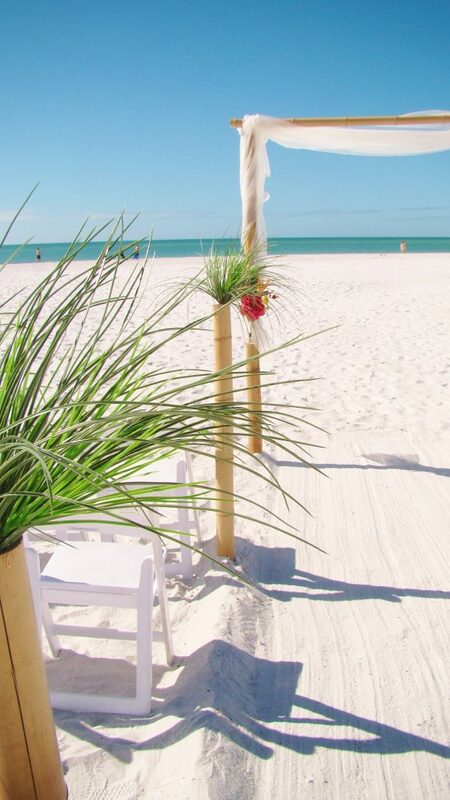 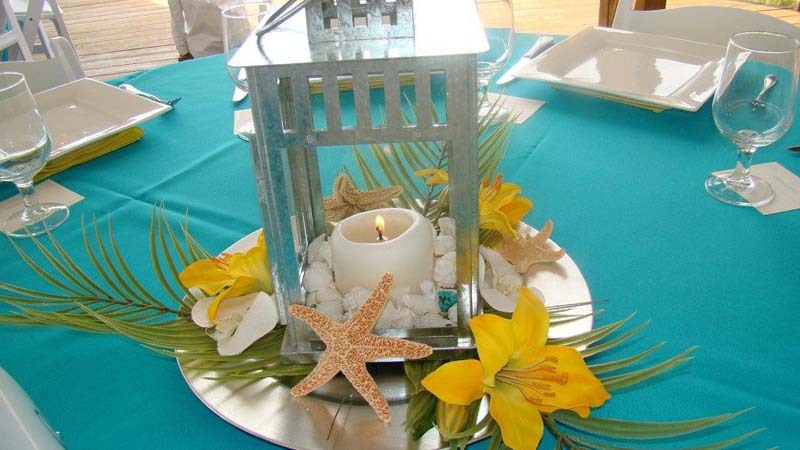 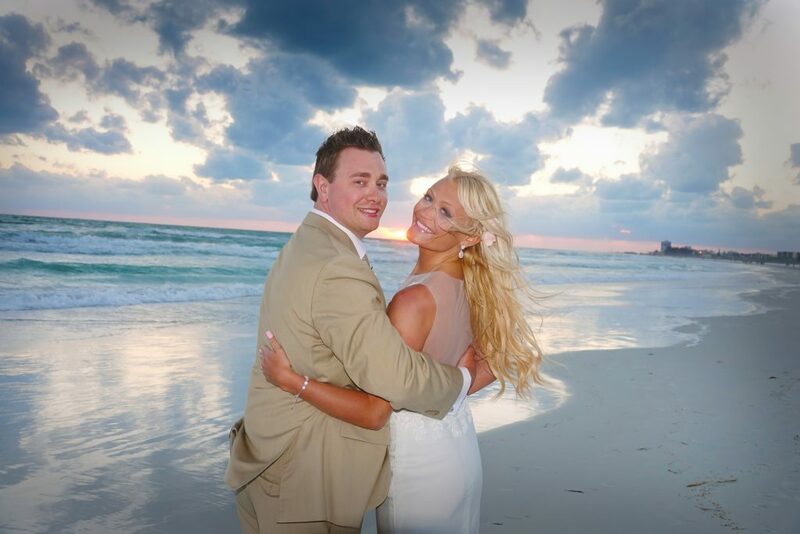 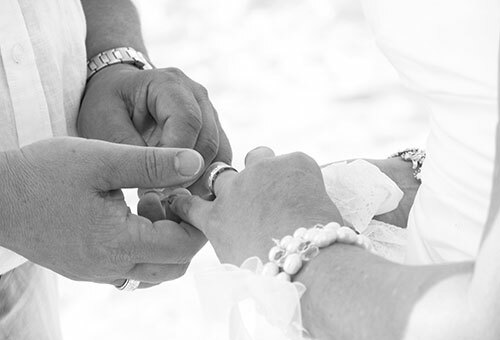 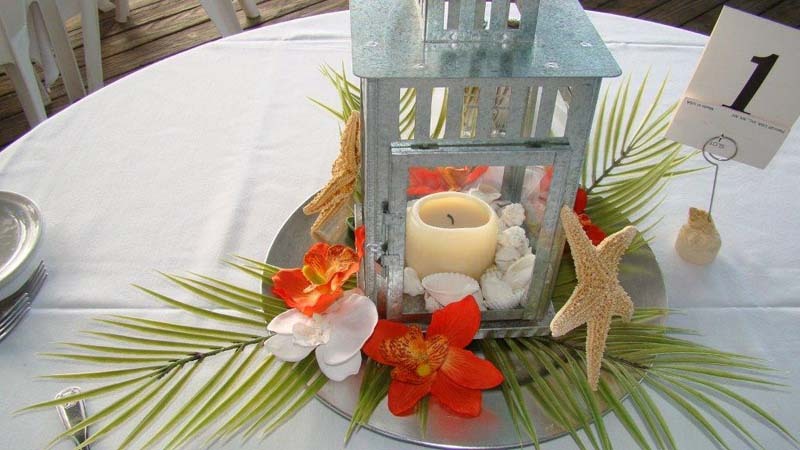 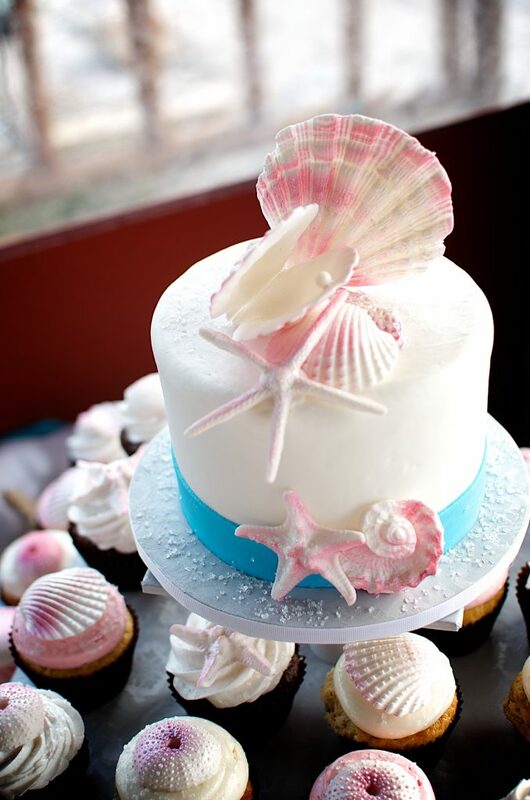 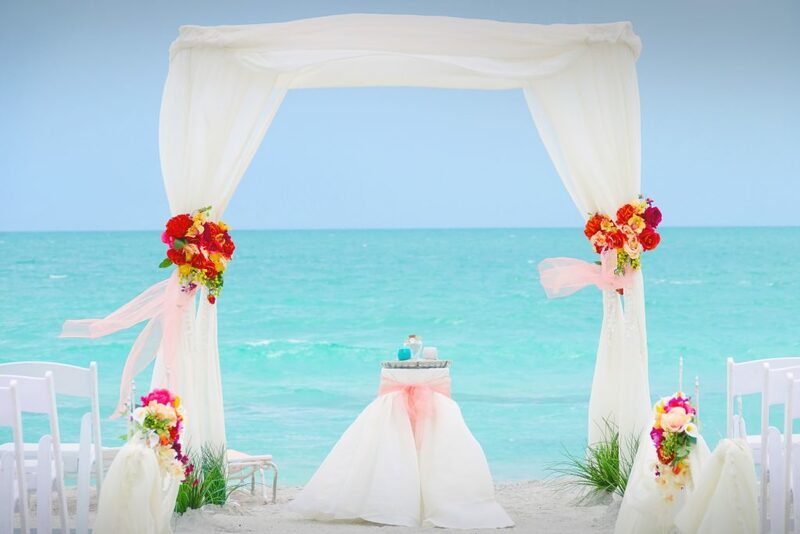 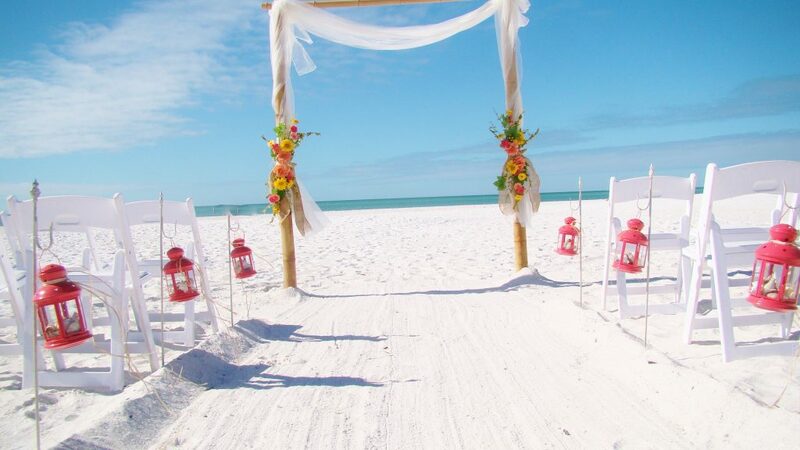 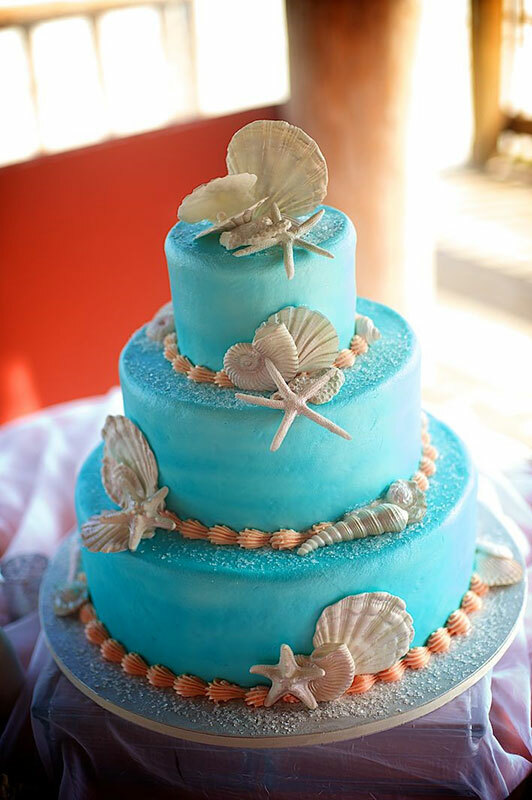 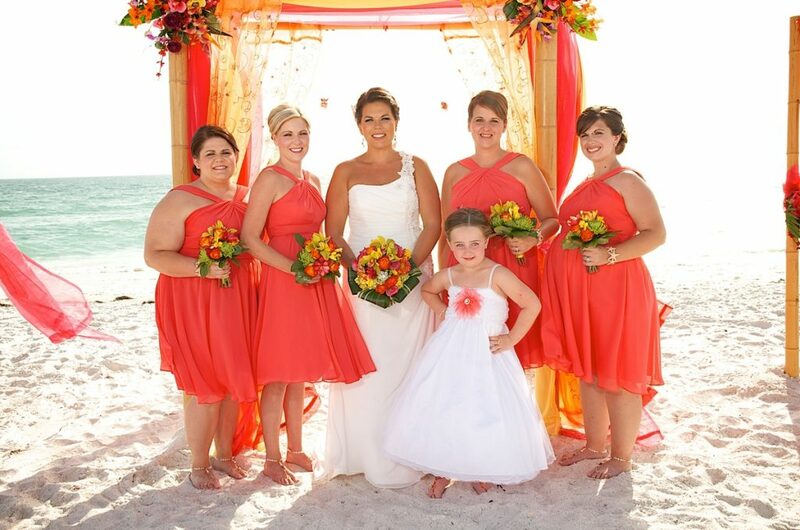 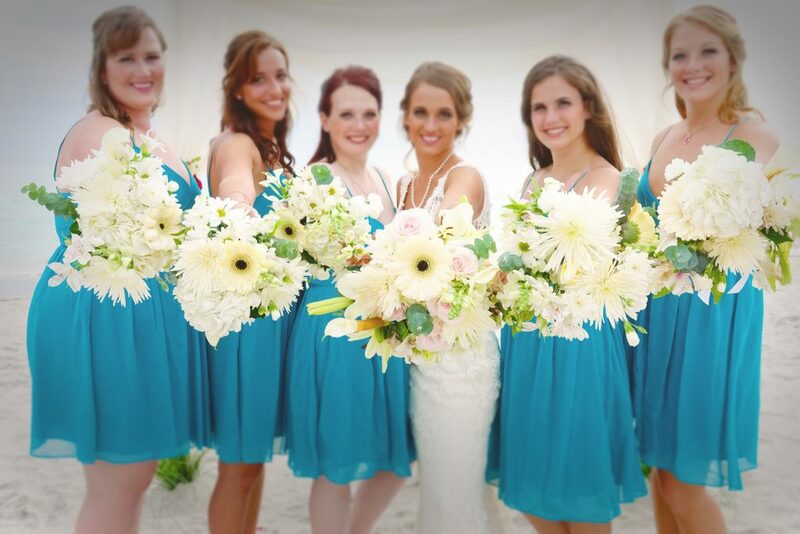 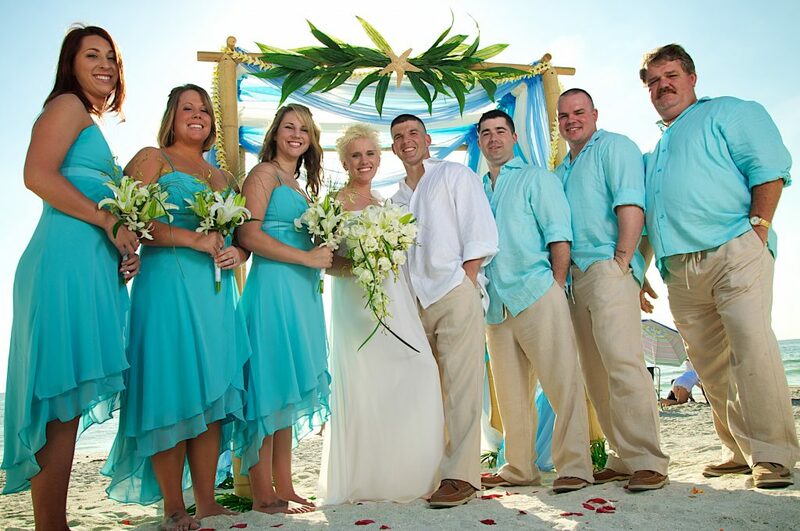 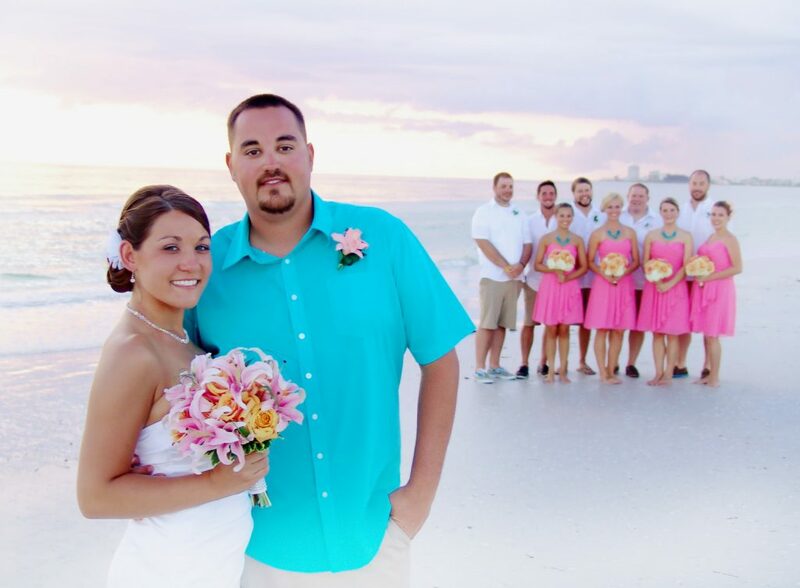 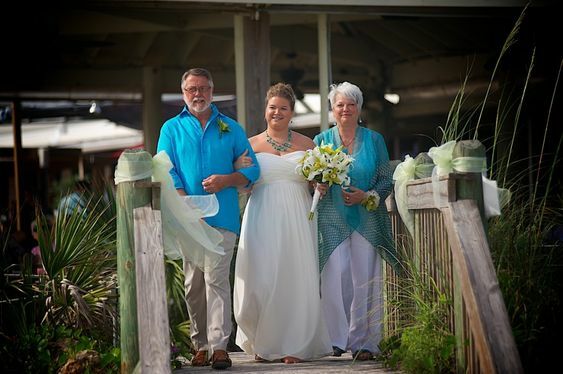 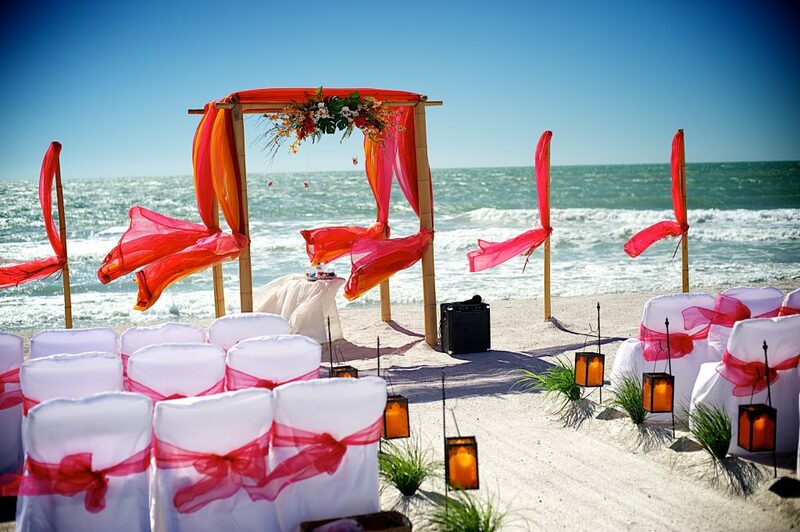 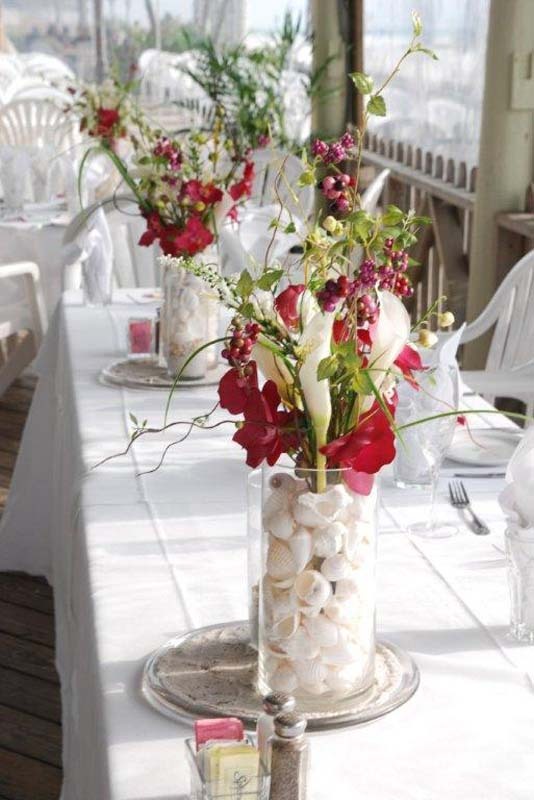 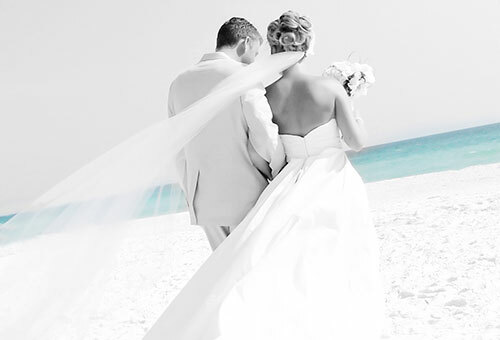 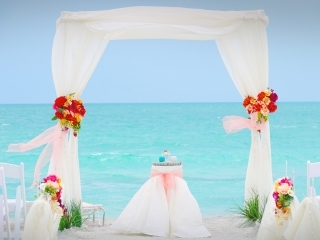 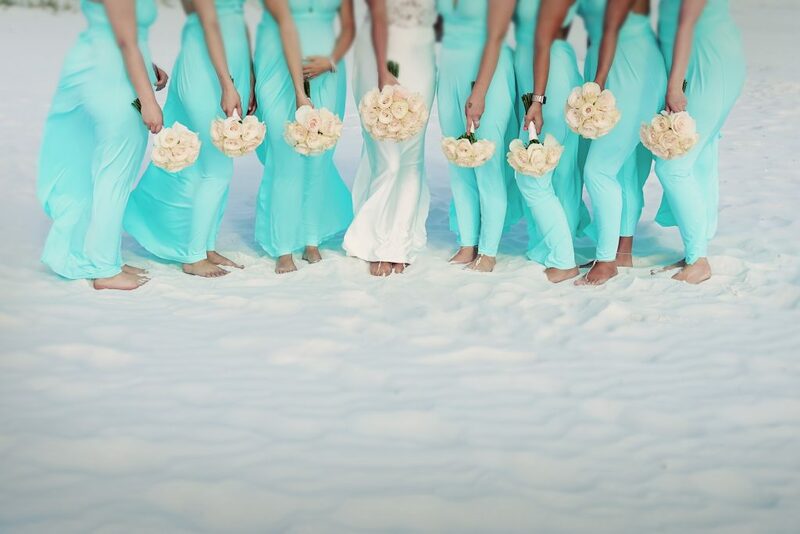 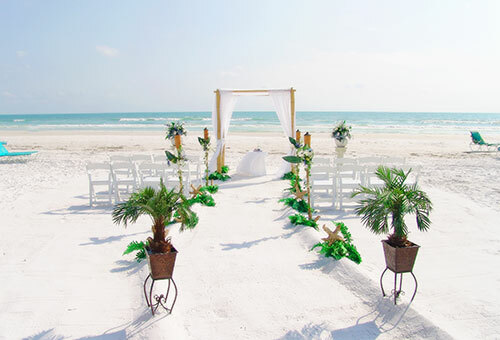 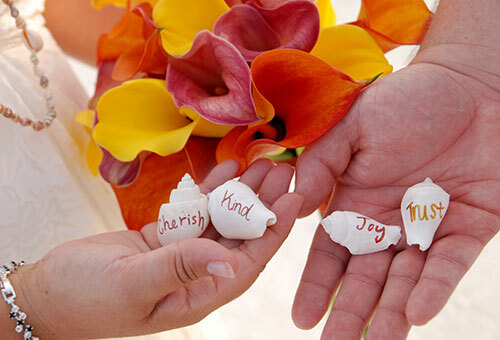 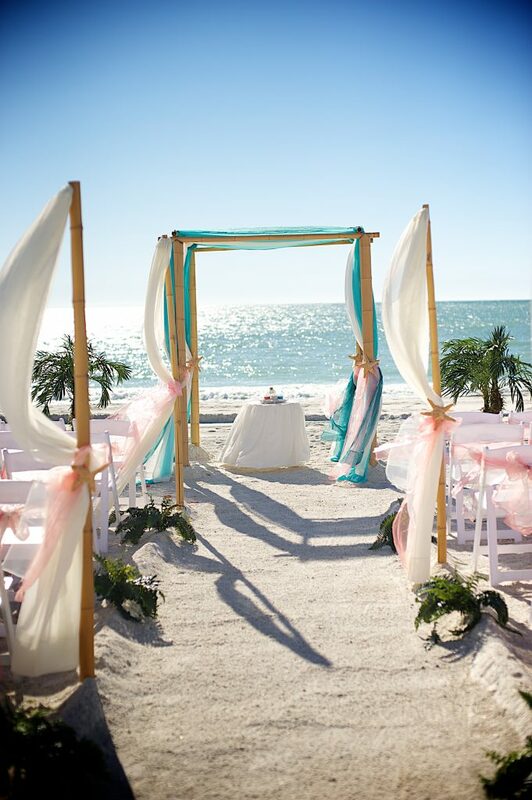 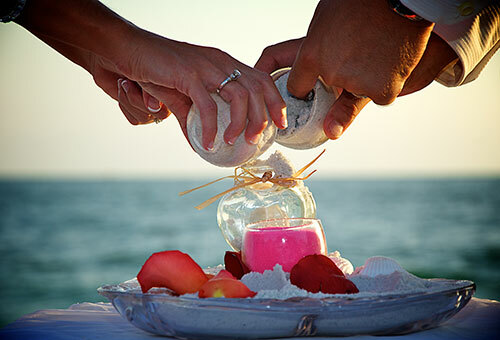 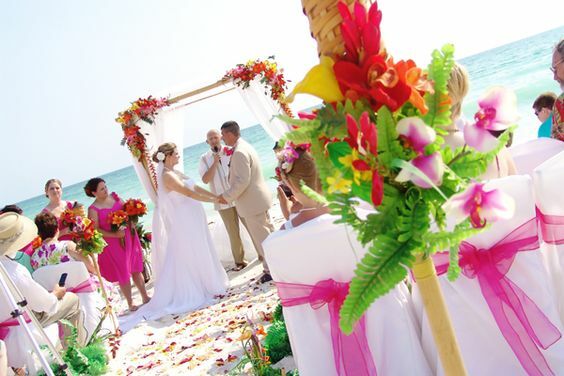 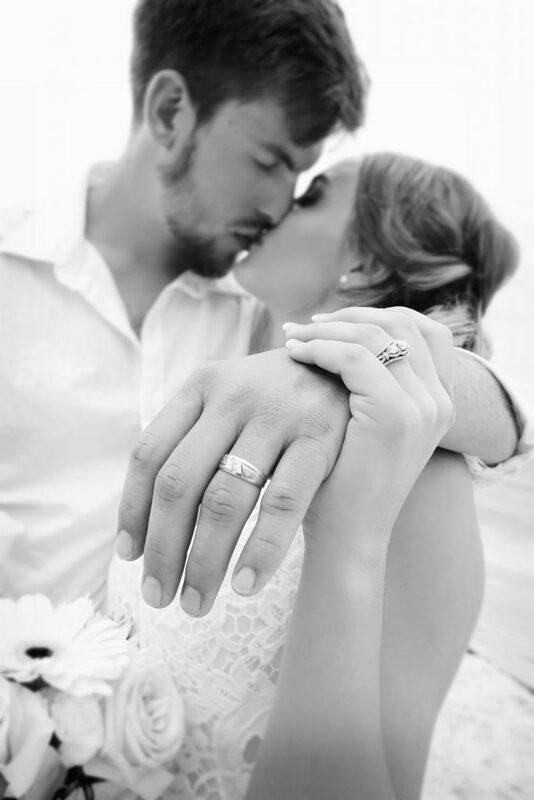 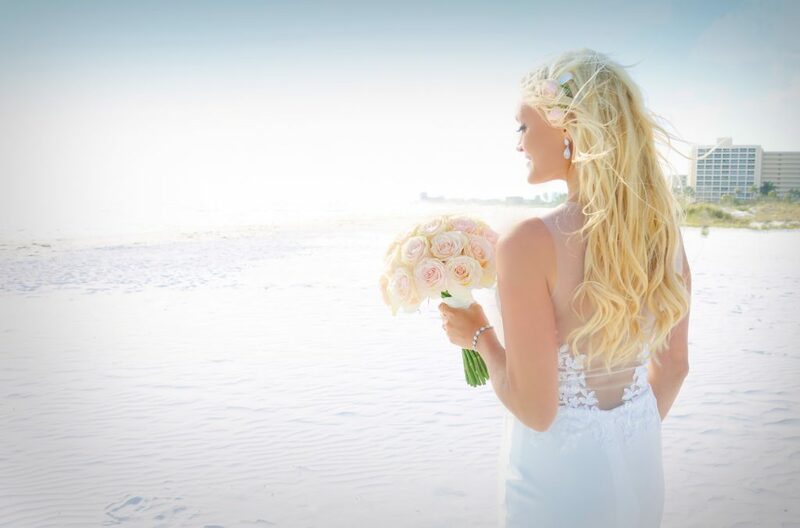 Sand Petal Weddings offers the convenient rental service of beach style centerpieces for ease to the traveling destination bride. 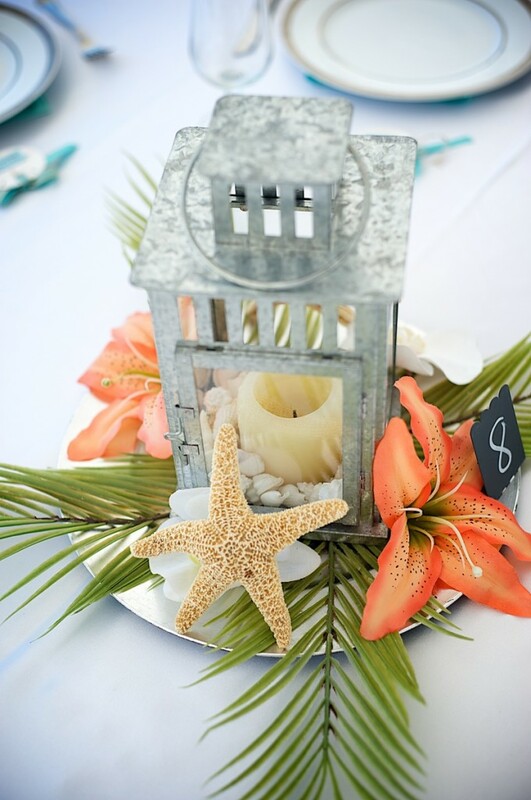 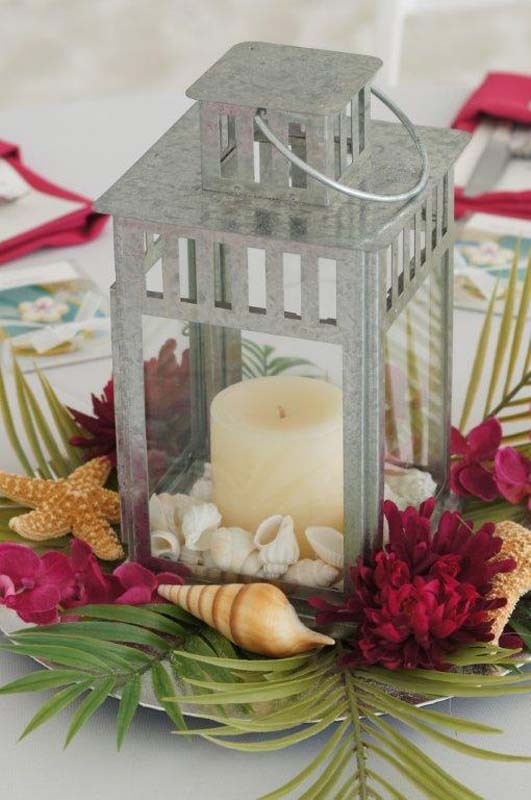 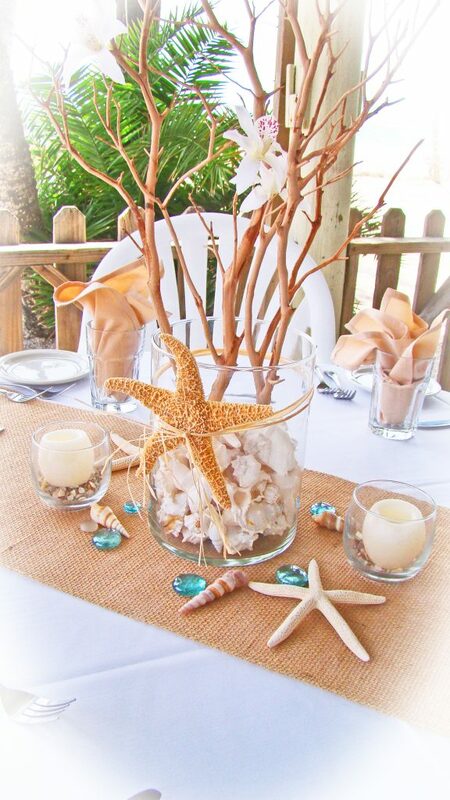 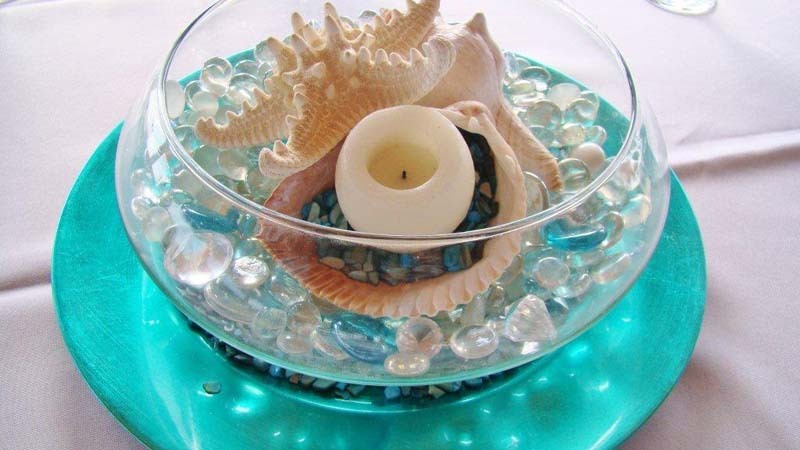 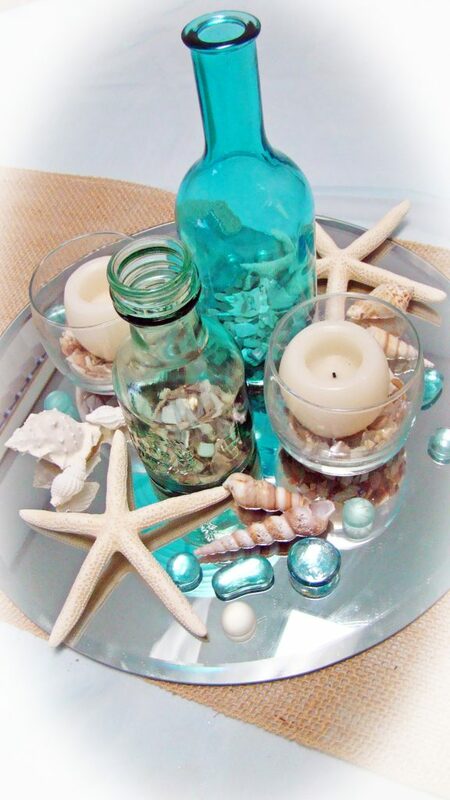 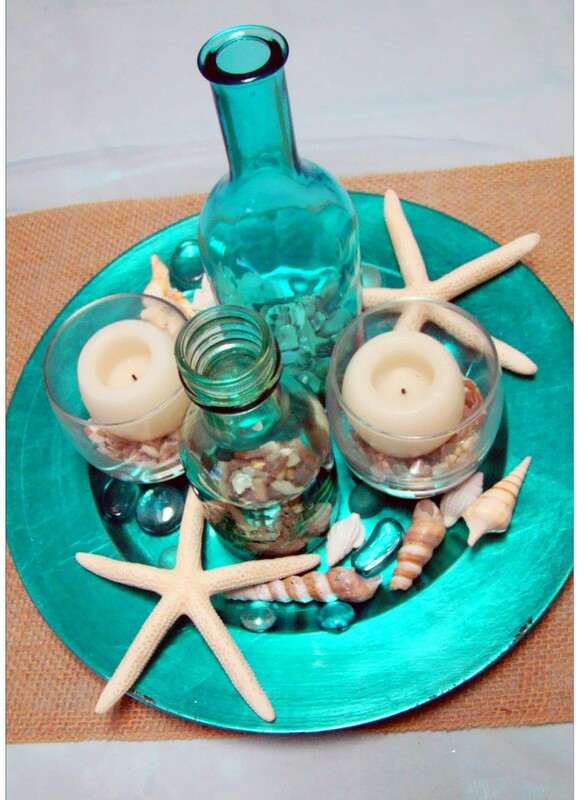 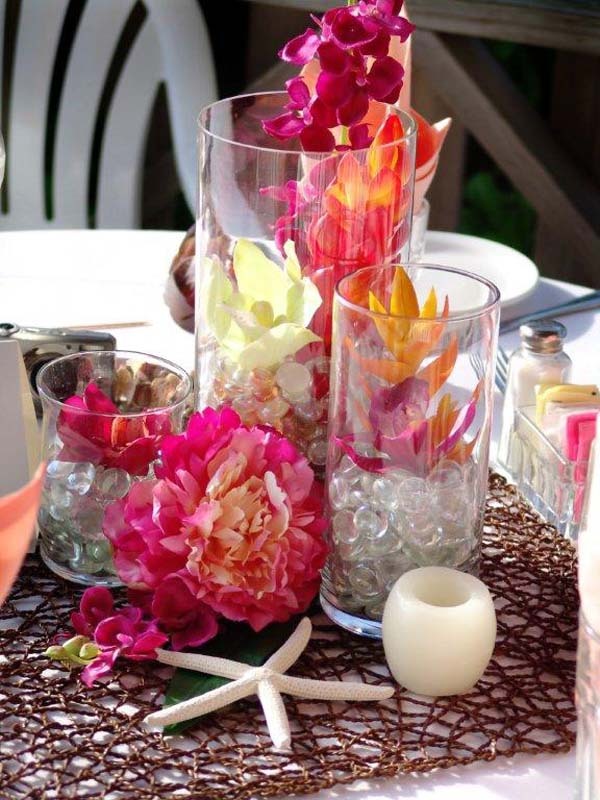 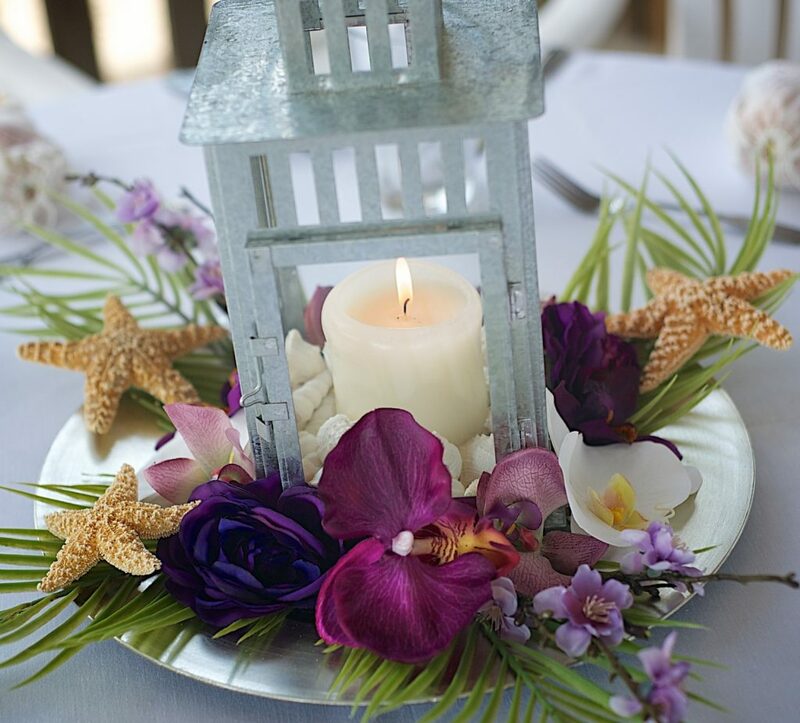 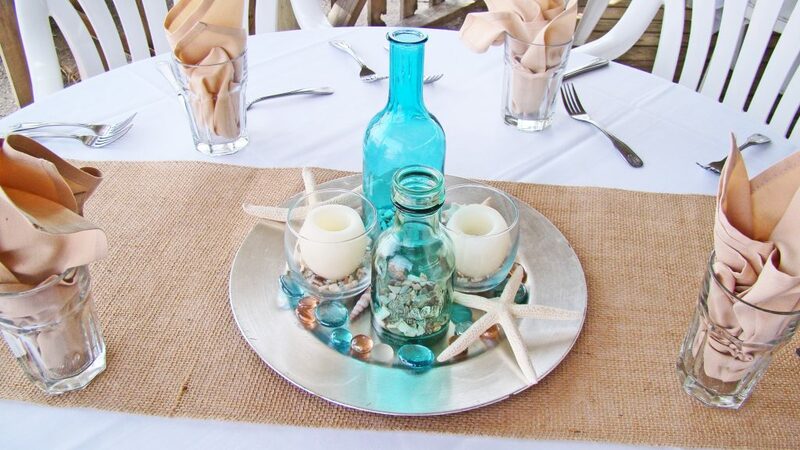 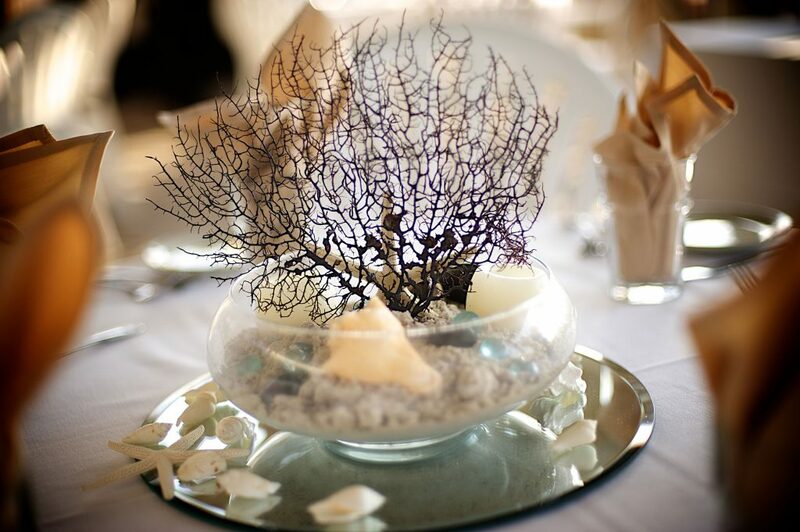 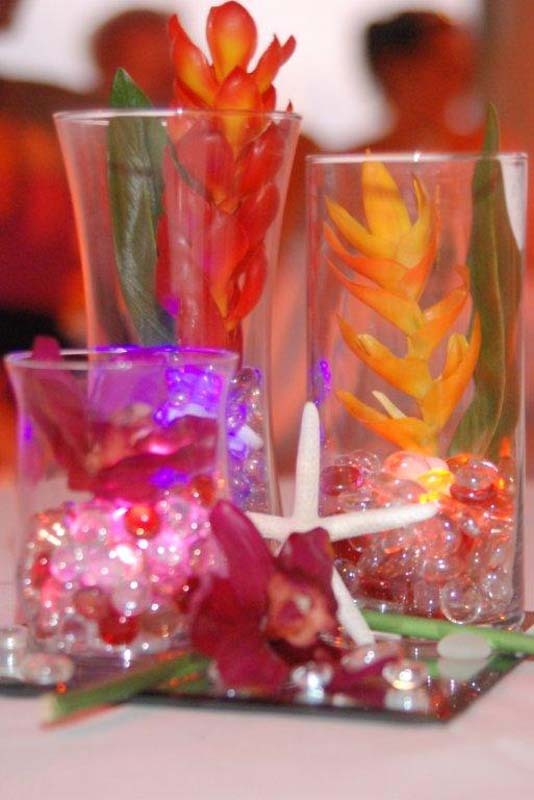 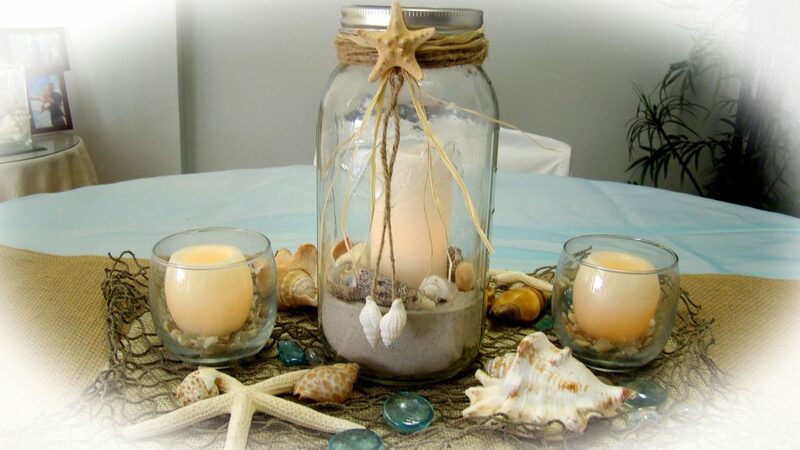 Our numerous design style centerpieces featuring various elements like shells, starfish, candle light, mirror base’s, platters, vases, gems, mason jars, lanterns and silk florals will suit any taste! 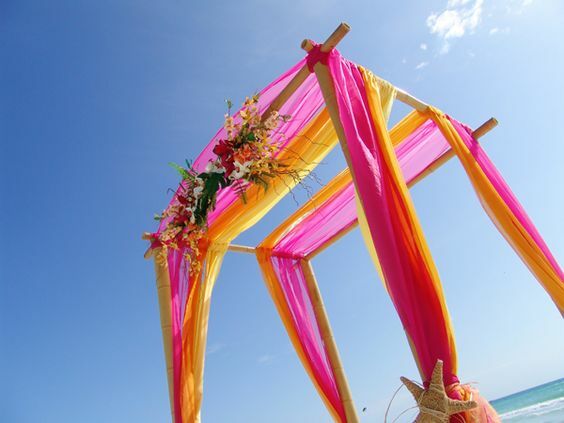 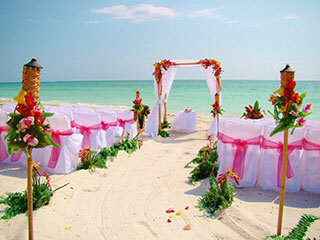 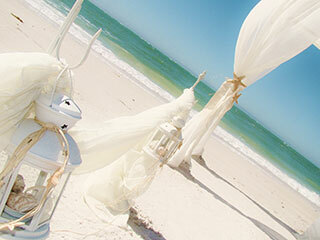 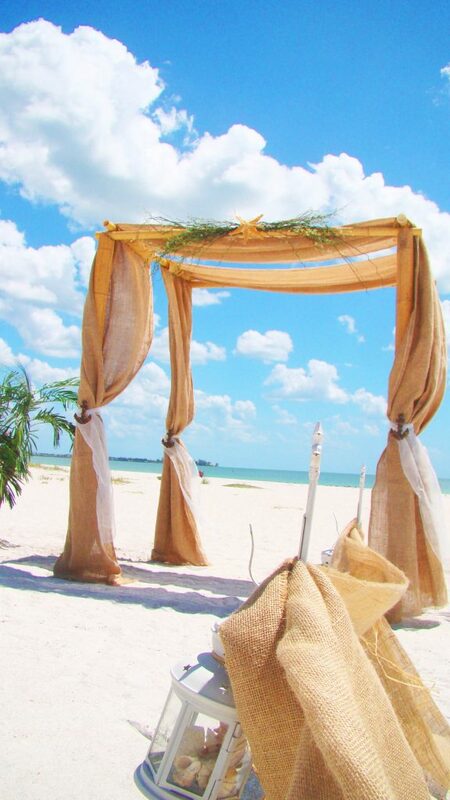 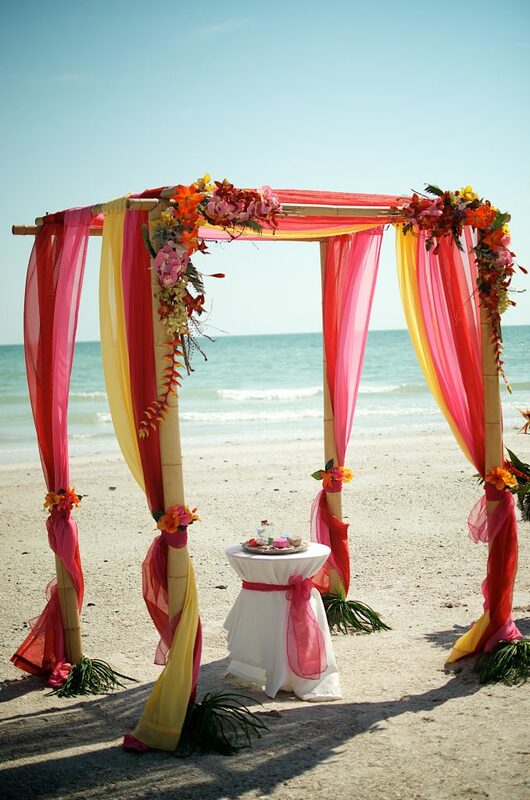 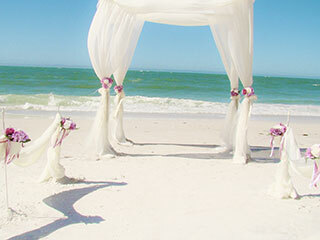 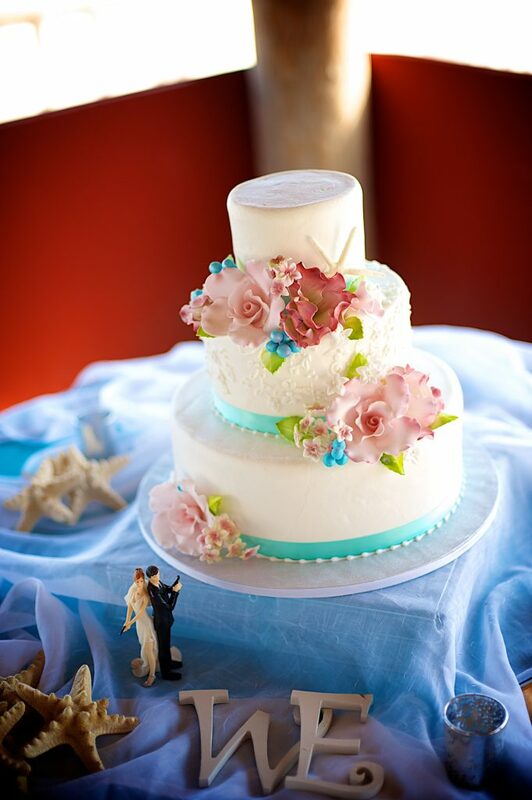 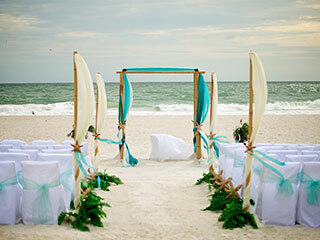 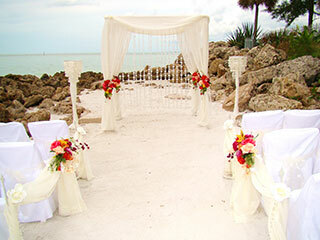 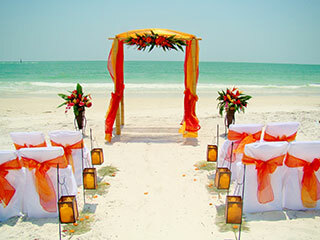 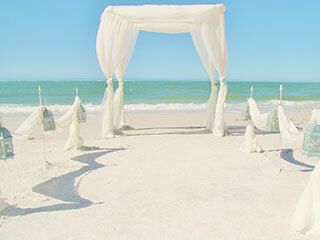 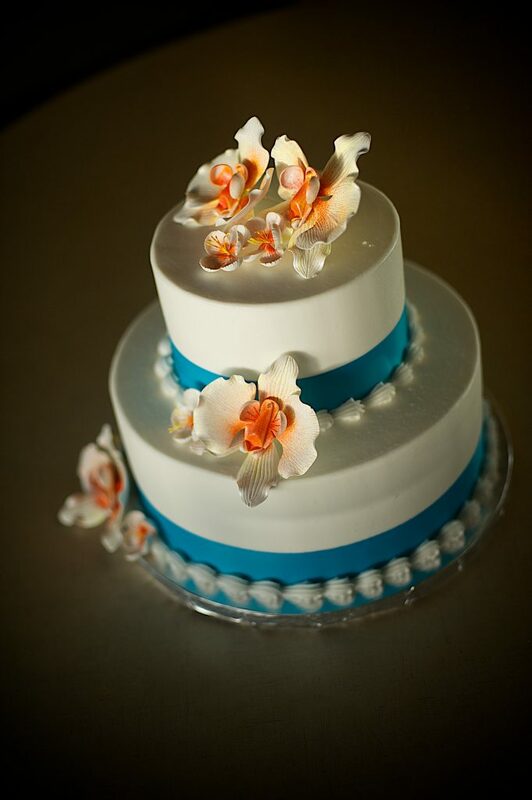 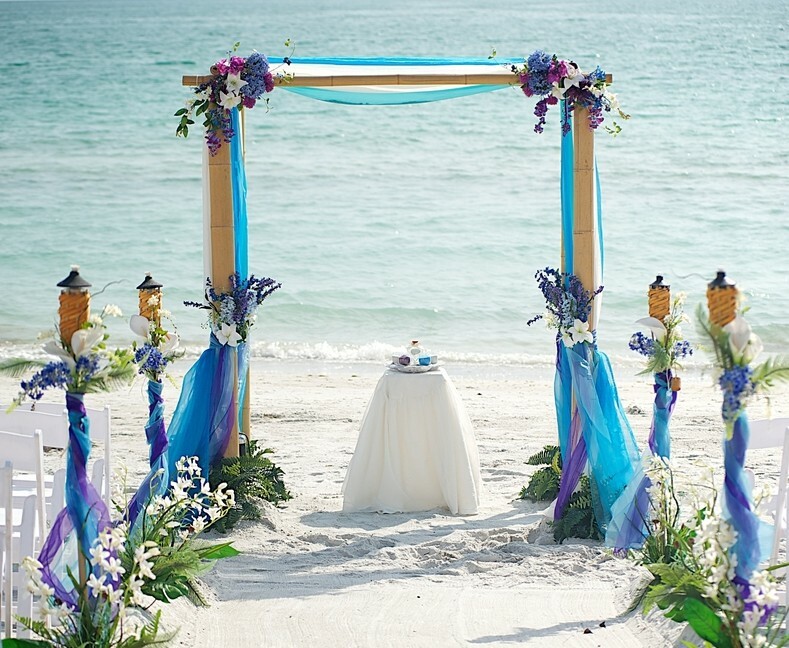 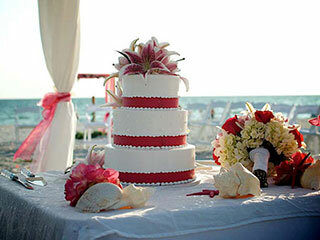 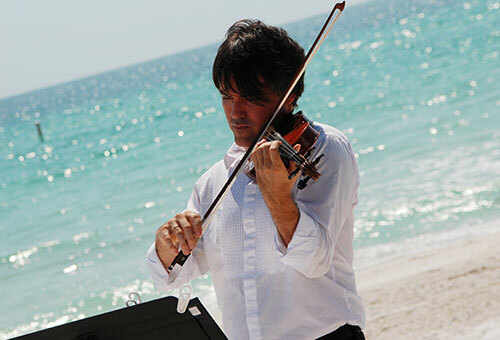 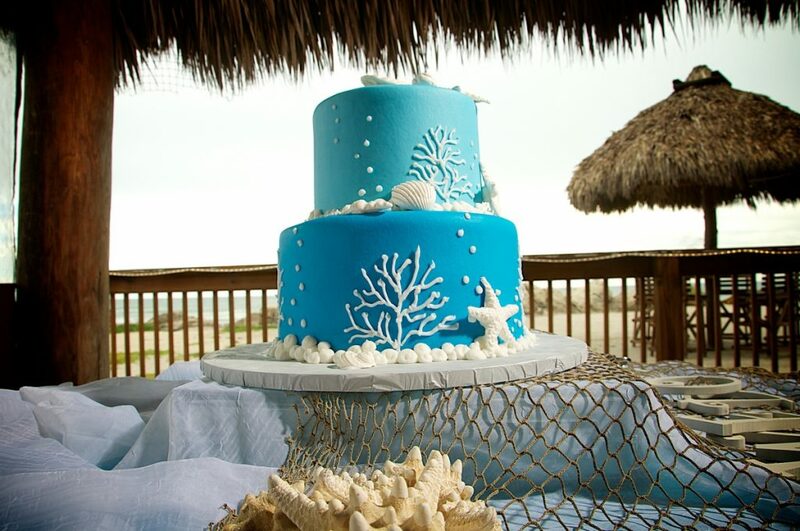 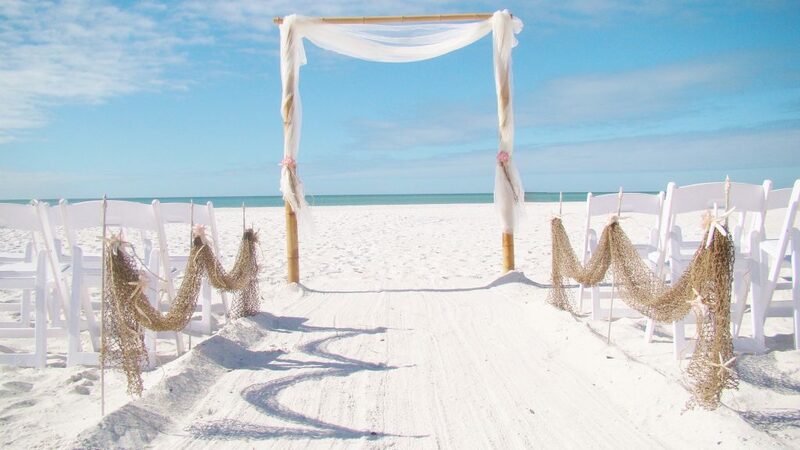 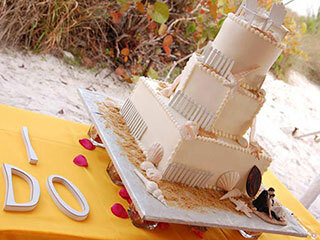 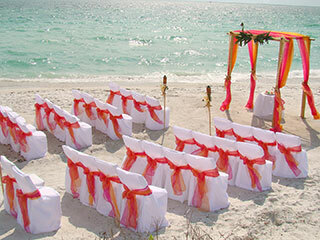 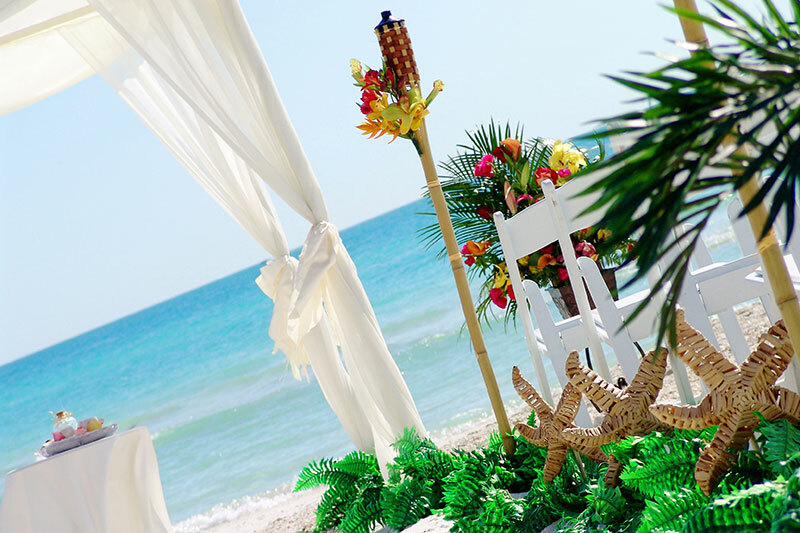 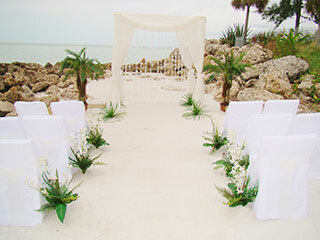 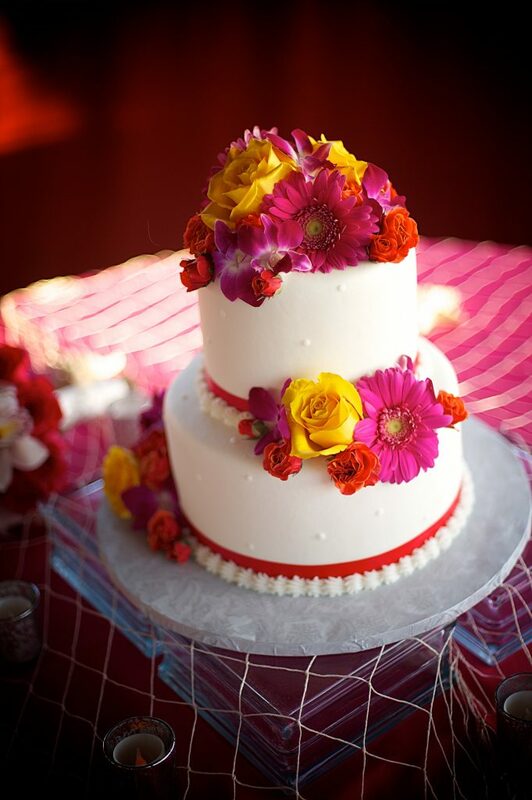 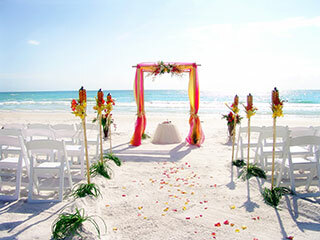 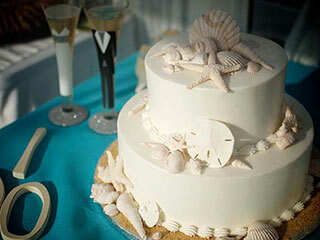 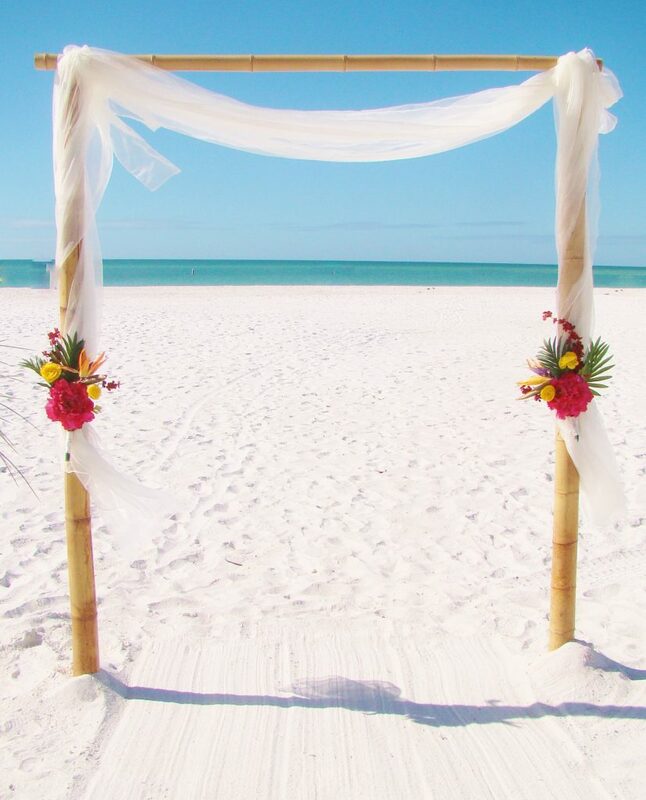 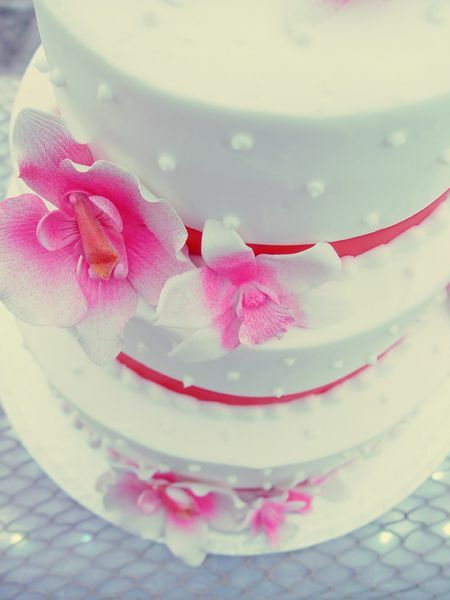 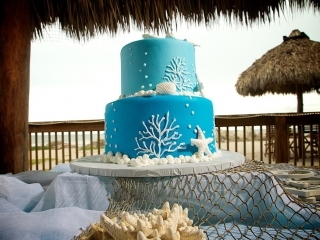 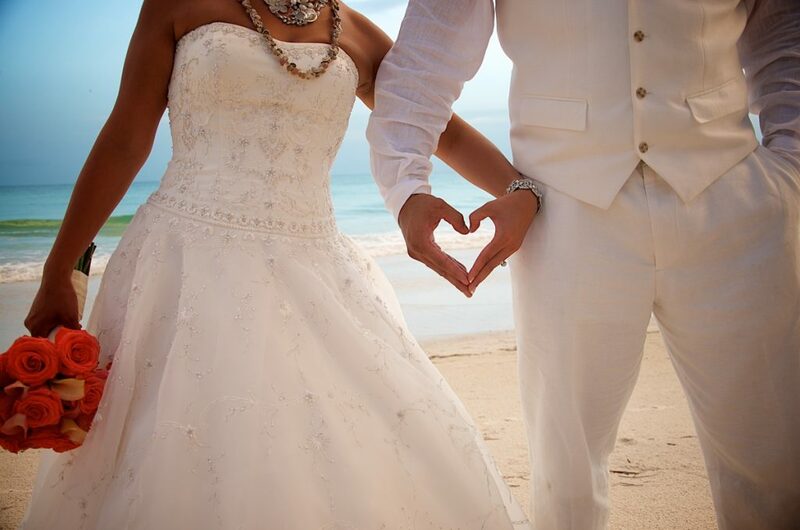 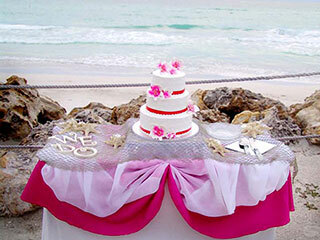 We can also blend some of our designs and create a custom design for our Beach and Garden destination brides. 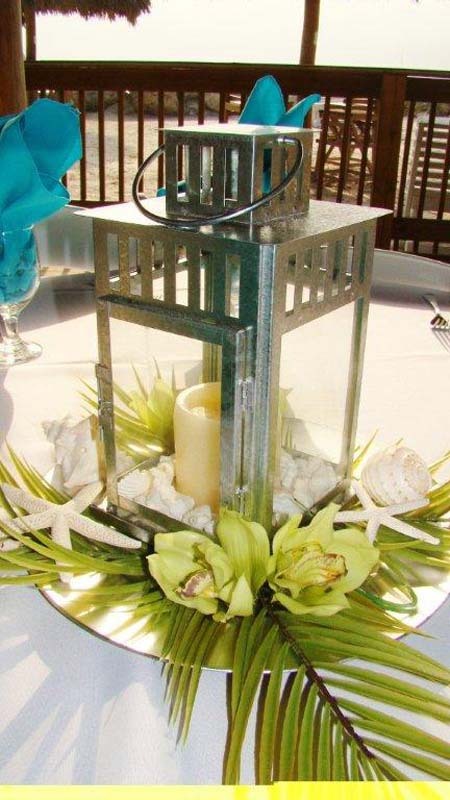 If your bridal contract states that centerpieces are included in your package, please choose from the selections below. 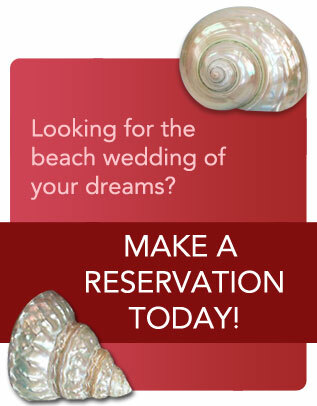 If your wedding package does not include centerpieces, please refer below or to your bridal questionnaire for pricing. 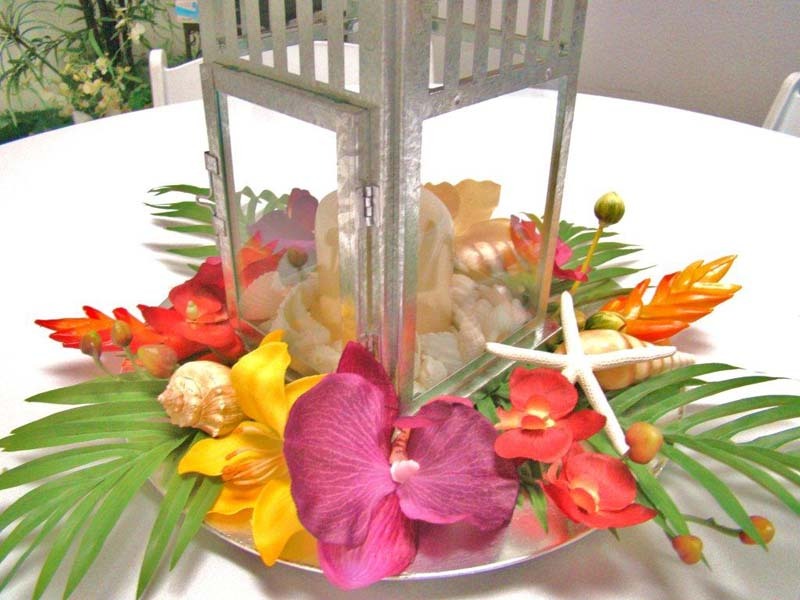 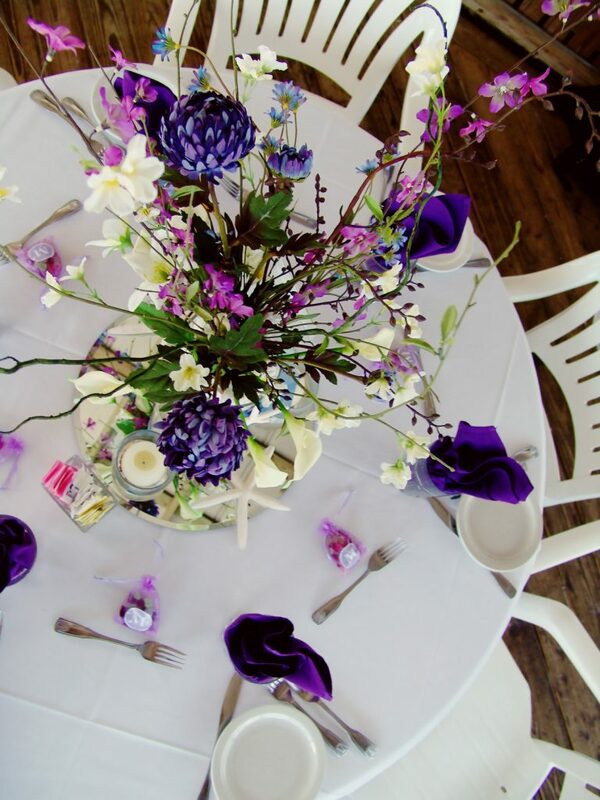 Some of our centerpieces have limited quantities and are not available for larger weddings. 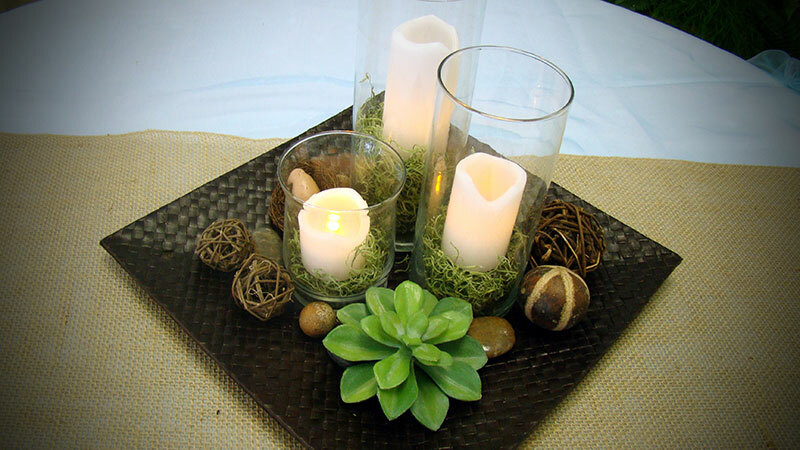 Please ask us about our centerpiece availability for larger group sizes. 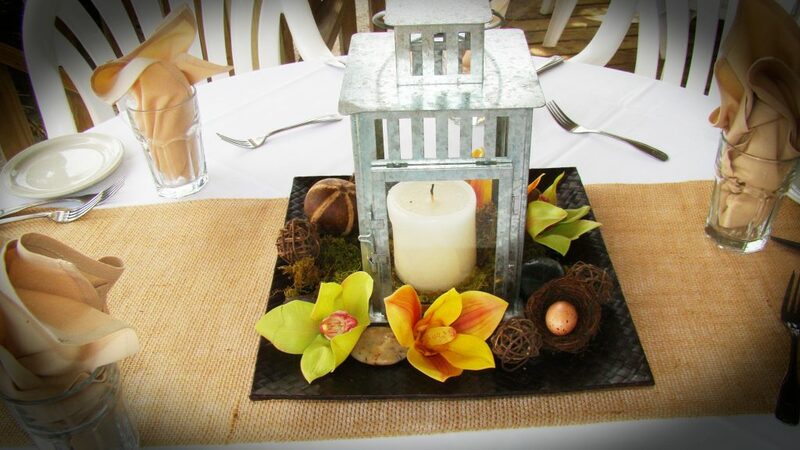 Burlap table runners shown below are not included in the package price but are available as a rental at $5 per table. 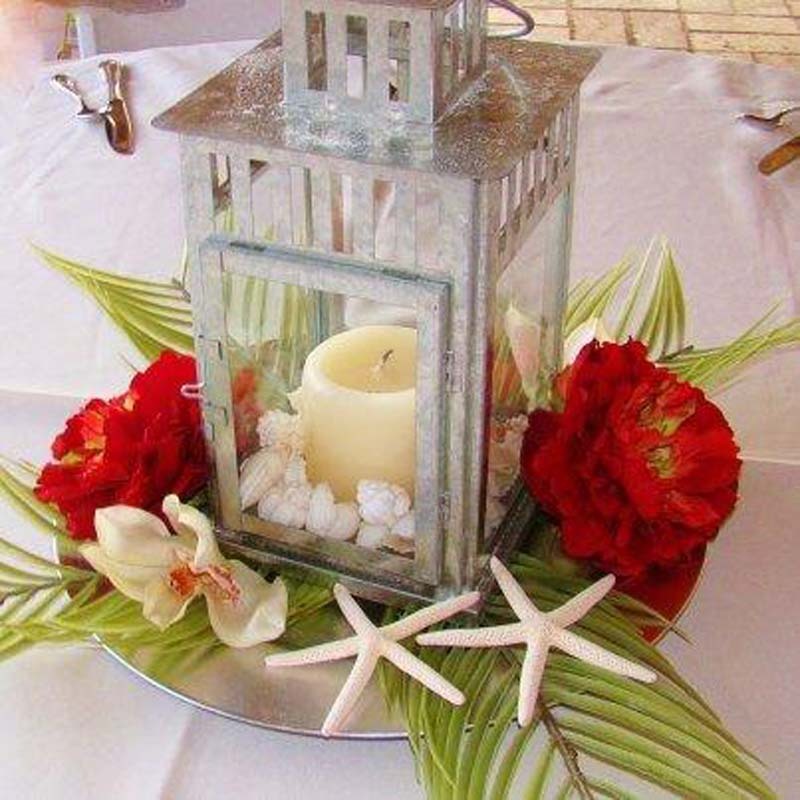 If you are choosing to add centerpieces to a package that does not already include them, the rental fees are $ 30 per table. 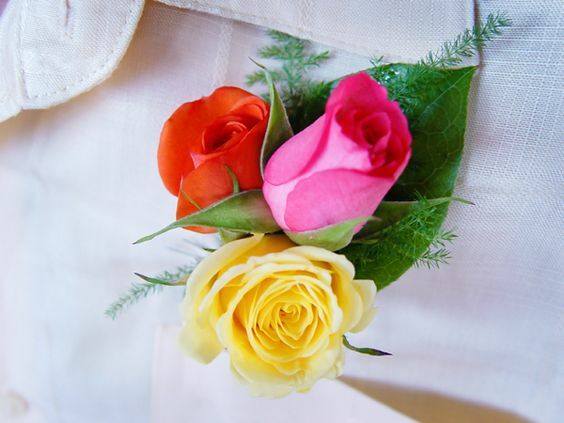 Silk flower types and colors may be customized or interchanged. 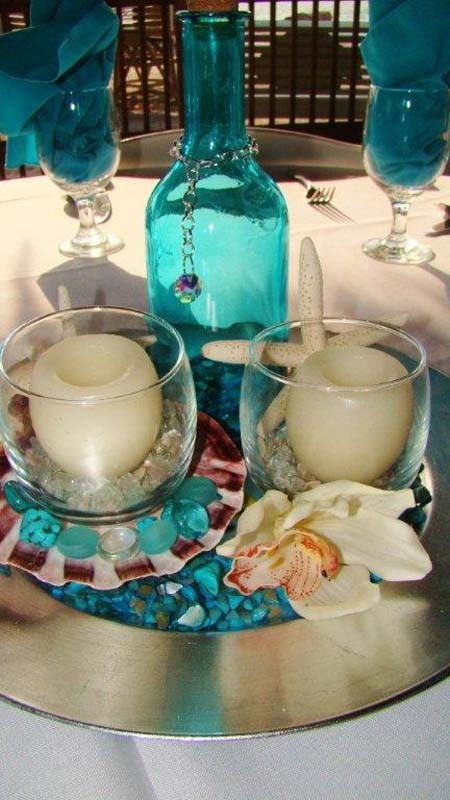 Please contact us directly to discuss your ideas and color scheme. 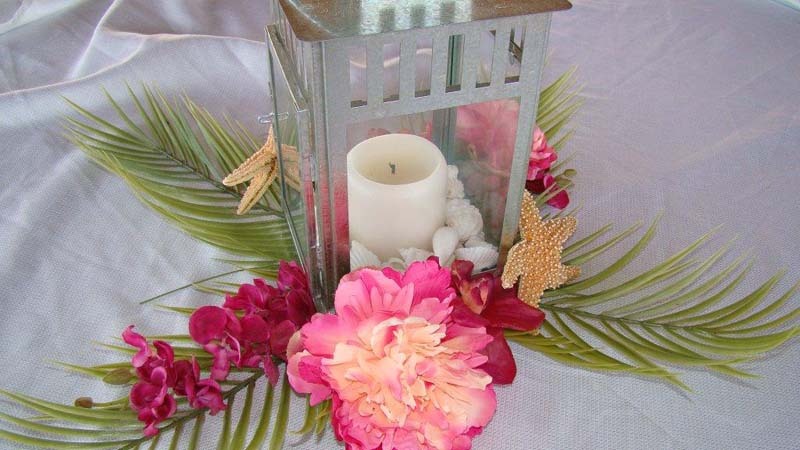 Some styles have limited quantities so please inquire directly about your group size and preferred centerpiece.